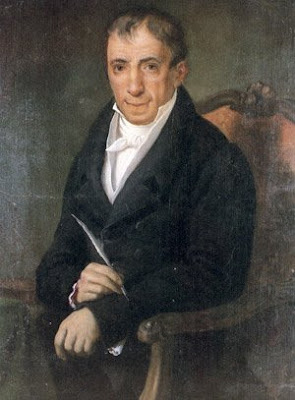 The Europeans and especially the Russians knew well the times of 1828, that in the event the above-mentioned ecclesiastical Romiosini organized politically as a state according to the plans of Rigas Velestinlis or John Kapodistrias, it would pose as a threat to Russia itself and in time also to Europe. There had already developed a large Romaiic commercial fleet under various state flags. A united Roumeli of the Balkans with their love for the sea handed down to them from their fathers would have very quickly become an appreciable strength - especially at a time when the nautical power of the British and the French had expanded worldwide, as well as the Spanish and the Portuguese, who had been dominated by Islam for many centuries. It is generally accepted that a large amount of the success of the revolution of 1821 depended on the nautical power of the nation. To prevent the political and national threat of the revival of Romiosini, the Europeans and the Russians had to destroy the national and ecclesiastical unity of the Romans which centered around the Patriarchates of Constantinople, Alexandria, Antioch and Jerusalem. Every language unit will become a kernel towards the establishment of states with autocephalous Churches independent of the Ecumenical Patriarchate, in accordance with the example of the new Church of Greece. The Vlach-speakers and the Arvinitic-speakers will cease to have a history of their Middle Ages. Like the Greek-speaking followers of Adamantios Koraes they will only have an ancient history as free nations. Just as Koraes presented the Greeks as enslaved to the tyrannical Greek emperors of Constantinople,(12) so were the Vlach-speakers and Arvinitic-speakers made to appear as enslaved to the Ecumenical Patriarchate during the Turkish occupation. The Autocracy of Romania or Roumeli was baptized with the origin of the name Byzantine Empire by the Franks. In this way they facilitated for all those called Romans in the Balkans to believe that they were enslaved by non-existent Byzantines. 9. Αντώνιος-Αιμίλιος Ν. Ταχιάος, Η εθνική αφύπνιση των Βουλγάρων και η εμφάνιση βουλγάρικης εθνικής κίνησης στη Μακεδονία ("The National Awakening of the Bulgarians and the Appearance of the Bulgarian National Movement in Macedonia"), Thessaloniki 1974, p. 27. 11. See J. Romanides, Romiosini, Romania, Roumeli, pp. 47, 56, 208, 209, 213, 217, 284, 331. 12. A. Koraes, Άπαντα ("Complete Works"), published by Mpire, Vol. 2, pp. 29-31.